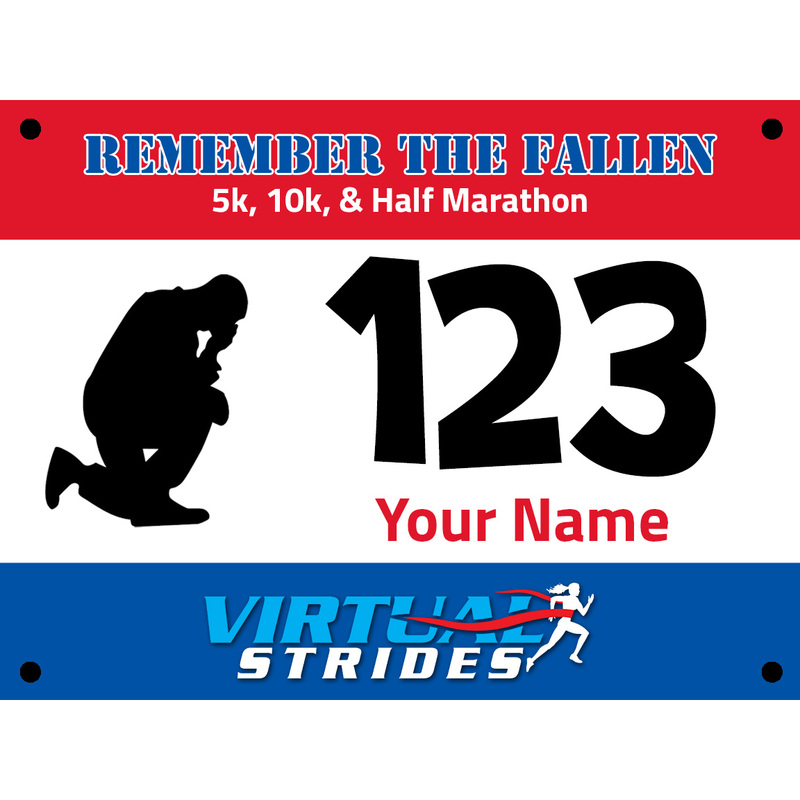 In honor of our nation’s military and in remembrance of those who have given their lives to protect our freedom, we present the Remember the Fallen virtual 5k/10k/Half Marathon. Like all of our virtual races, participants can complete their selected distance whenever and wherever they want. 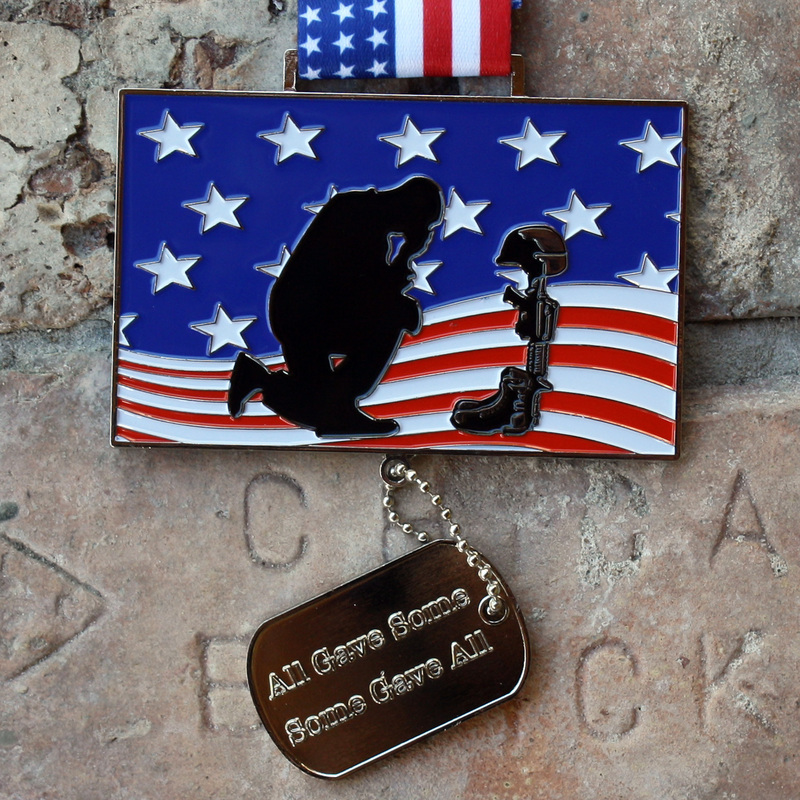 All registrants will receive a personalized race bib via email, and we’ll send you this patriotic 4″ medal after you upload your results (and a photo if you want to be included in our galleries) or when the race period ends, whichever comes first. The Special Operations Warrior Foundation (SOWF) was established in 1980 after a daring attempt to rescue 53 American hostages in Iran tragically ended when a helicopter and a C-130 aircraft collided, killing eight American heroes and leaving 17 children without fathers. What started as a battlefield promise to take care of those children has become the noble cause of the SOWF. 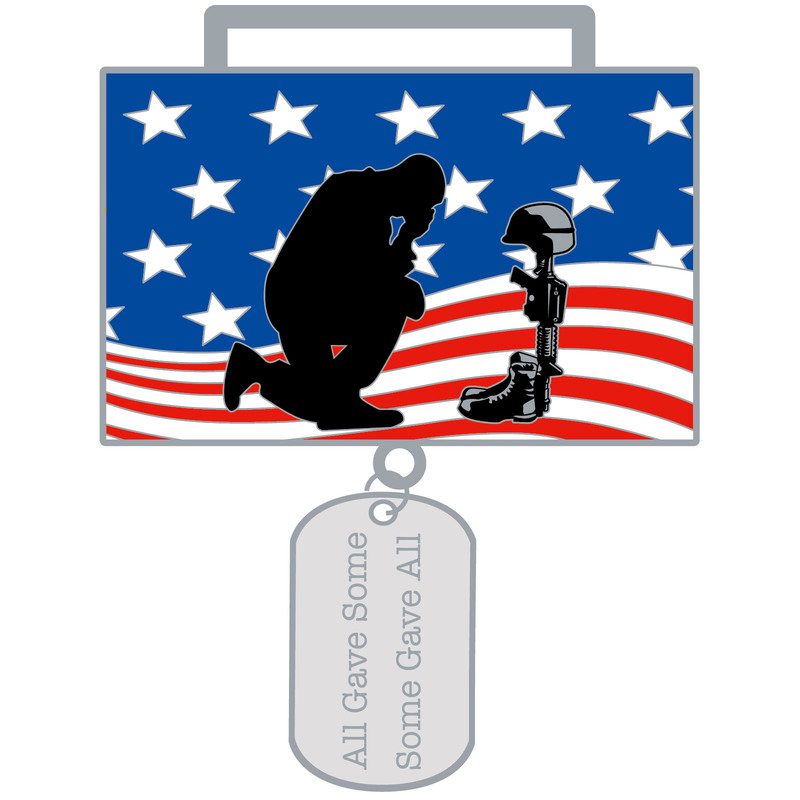 The SOWF ensures full financial assistance for a post-secondary degree from an accredited two or four-year college, university, technical or trade school, as well as family and educational counseling, including in-home tutoring, to the surviving children of Army, Navy, Air Force and Marine Corps special operations personnel who lose their lives in the line of duty. The foundation also provides immediate financial assistance and support to ensure that severely wounded personnel are able to have their loved ones at their bedside during recovery. A portion of the proceeds from this event (at least $5 from each registration) will be donated to the Special Operations Warrior Foundation. For more information about this organization or to make a direct contribution, please visit SpecialOps.org.